Summary: Take a look at how we plan to preserve and pass on the digital history of the Obama administration. Looking back over the past eight years, our digital footprint reflects some broader changes in the ways people consume news and information and engage with the world around them online. In 2009, in addition to rolling out a revamped WhiteHouse.gov featuring a blog, RSS, and an email list, we joined Facebook, Twitter, Flickr, Vimeo, iTunes, and even MySpace. In 2011, we launched We the People, a platform for citizens to petition the White House. In 2013, the First Lady posted her first photo to Instagram. 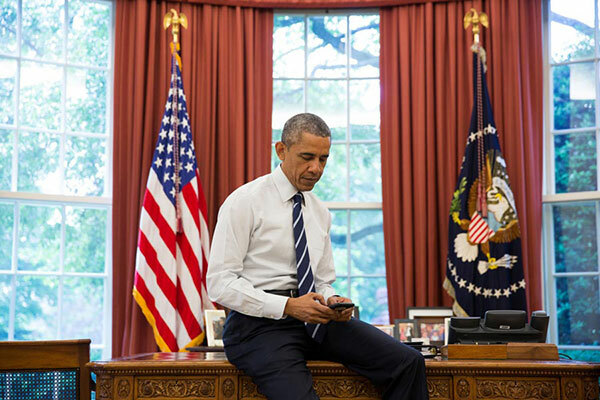 In 2015, President Obama sent his first tweet from @POTUS. In 2016, the White House debuted an official story on Snapchat for the State of the Union. This digital infrastructure is an asset not just for the next president but for all future presidents to build off of. The archive belongs to the American people. From the very beginning, our mission has been to reach Americans and people around the world on the channels and platforms where they already spend their time. This work began on President Obama’s 2008 campaign and, over the course of this Administration, has increasingly meant meeting people where they are online, using technology to re-imagine traditional formats, and creating unique opportunities for people to interact with their government. The past eight years have left us with tremendous optimism about how future administrations might use these tools to create even more pathways for meaningful civic participation. So after all this – nearly eight years of digital firsts, more than 470,000 We the People petitions, nearly 30,000 @WhiteHouse tweets, and thousands of hours of video footage – what happens when the next administration takes office? The President has made clear that a smooth transition between administrations is one of his top priorities, and digital is a key component of that effort. While much of the digital transition is unprecedented in the United States, the peaceful transition of power is not. There are some important principles we can work from. Accordingly, we have been working to ensure that our digital transition meets three key goals. First, we are preserving the material we’ve created with the National Archives and Records Administration (NARA). From tweets to snaps, all of the material we’ve published online will be preserved with NARA just as previous administrations have done with records ranging from handwritten notes to faxes to emails. Second, wherever possible, we are working to ensure these materials continue to be accessible on the platforms where they were created, allowing for real time access to the content we’ve developed. Finally, we are working to ensure that the next president and administration – regardless of party – can continue to use and develop the digital assets we have created to connect directly with the people they serve. On Instagram and Facebook, the incoming White House will gain access to the White House username, URL, and retain the followers, but will start with no content on the timeline. An archive of White House content that was posted to the Obama White House Instagram and Facebook will continue to be accessible to the public at Instagram.com/ObamaWhiteHouse and Facebook.com/ObamaWhiteHouse. Facebook accounts for President Obama and the Vice President and the Instagram accounts belonging to the First Lady and Vice President will be moved to new “44” usernames and preserved by NARA. We’ll follow a similar approach with other official accounts on platforms including Medium, Tumblr, and YouTube. These presences will be made available to the 45th White House, including the “White House” username, /WhiteHouse URL, and the followers, but start with no content on the accounts. The Obama White House content will be preserved and accessible in the same manner as all other presidential records and continue to be available on the platform at a new URL. Today, the White House’s We The People website has more than 12 million verified users that have created more than 470,000 petitions to their government on the issues they care the most about. The White House mobilizes government officials to respond to every petition that receives at least 100,000 signatures. Over the years, we’ve seen it become a powerful platform, with petitions reaching senior staff and the President’s desk and even shaping policy on topics including cell phone unlocking and net neutrality. The We the People code has been open-sourced and we’re taking every step possible to make it easy for future administrations to carry on this tradition. The petitions and our responses will also be archived with NARA. Similar to the Clinton and Bush White House websites, President Obama’s WhiteHouse.gov will be preserved on the web and frozen after January 20th and made available at ObamaWhiteHouse.gov. The incoming White House will receive the WhiteHouse.gov domain and all content that has been posted to WhiteHouse.gov during the Obama administration will be archived with NARA. Over the past eight years, we’ve racked up thousands of hours of video footage and millions of photos. That’s all being transferred to NARA, where it will be preserved and made available to the public pursuant to the Presidential Records Act. The photos that have been released on WhiteHouse.gov, Flickr, Instagram and the video content on YouTube, Vimeo, and other White House presences will continue to be available on these platforms with updated usernames and will also be maintained by NARA. Full resolution versions of all the photo and video content that has been posted online will also be archived with NARA. In addition to the steps that the White House and NARA are taking, we want to open up this process to the American people. Specifically, by the end of this Administration, we’re committed to publicly sharing our social media content in an easily accessible and comprehensive way (e.g., zip files to download). In the interim, we’re inviting the American public – from students and data engineers, to artists and researchers – to come up with creative ways to archive this content and make it both useful and available for years to come. From Twitter bots and art projects to printed books and query tools, we’re open to it all. The White House will make our social media data available early to people who are interested in building something for the public. For more information on how to submit an idea, click here. Given the unprecedented nature and scale of the digital transition, we anticipate we’ll learn a lot along the way – so these plans may evolve. You can follow along @WHWeb for updates on the digital transition process, data releases, and more.This post was originally published on the White House blog.